Add in the mashed avocado, chopped plum tomatoes. Fold ingredients together to blend. Season with salt and pepper to taste. 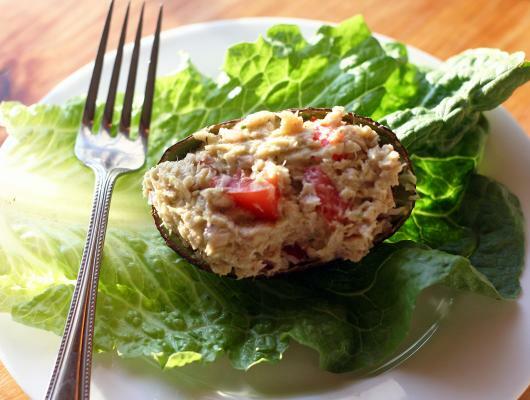 Serve either in an avocado shell or over a green salad. 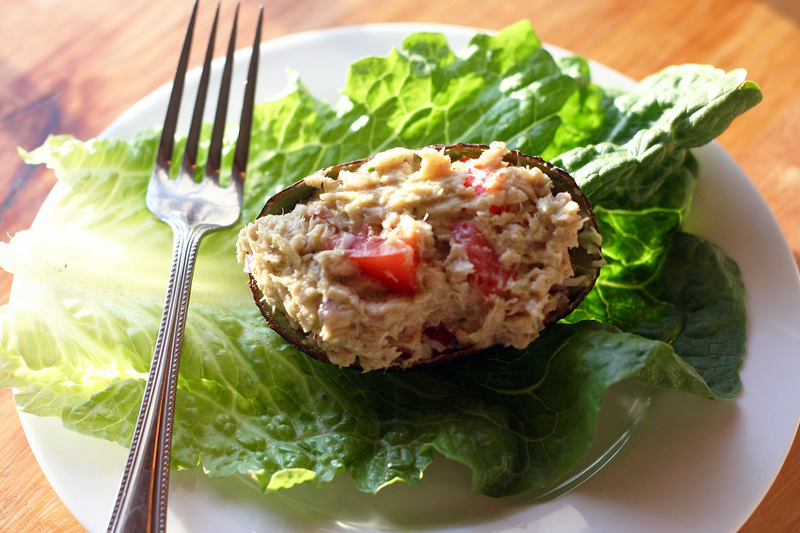 Avocado tuna salad made with canned tuna fish and fresh avocado. Flavored from lime juice and red wine vinegar to make a light and delicious lunch. Low in fat and calories!